Have you ever watched any of the funny videos of people who are waking up from anesthesia? I found several by searching YouTube. I found one where two brothers actually convince their poor sister, who wakes up from having her wisdom teeth pulled, that there is a zombie apocalypse happening! I can tell you I have had the opportunity to witness this very phenomenon more than a few times with my husband. The problem is you never know which version of him, he will wake up to be….one time he was a comedian, the next a wild man, and then usually he just loves everyone and tells them what an amazing job they are doing. The point I am making is that many people who are under the influence of anesthesia will say and do things that they would not normally say or do! We also know of negative examples of things people do differently when under the influence of drugs or alcohol. In general, these individual’s judgment is impaired. They often make decisions that they would not otherwise make, and they may go places where they normally would not go. Often their speech is impacted; they may slur their speech, or say things that they normally would not say, and my later regret. The way they walk may also be effected. They may fail the field sobriety tests where law enforcement asks them to walk in a straight line, turn on one foot, and walk back on the straight line. Someone under the influence is often more emotional and expresses love in a more open way. Some people marry strangers when they are under the influence! Many also have an unusual level of bravery or boldness. Some people actually refer to alcohol as liquid courage. Normally when we consider people being “under the influence”, we think of it in negative terms. For example, someone driving while “under the influence”. I want you to expand your thought process and consider it a different way. If most people were different when under the influence of anesthesia, drugs, or alcohol, would you agree that people could also be different when they are under the influence of an all-powerful God? For those who are according to the flesh and are controlled by its unholy desires set their minds on and pursue those things which gratify the flesh, but those who are according to the Spirit and are controlled by the desires of the Spirit set their minds on and seek those things which gratify the [Holy] Spirit. I believe that those who are controlled by and under the influence of an all-mighty and all-powerful God also do things they would not normally do too! In general, these individual’s judgment is not impaired but heightened. They often make decisions that they would not otherwise make. Let me give you an example. Recently I dropped some friends off at a store to pick up something, while I went down the street for fuel. When I got back, two of them came out carrying the boxes, but said my other friend would be a minute….she was in there praying for a woman who has a bad back! When you are under the influence of an all-powerful God, you do things like pray for hurting people in the store, even if they are a perfect stranger! Just like the first group, people under the influence of God will also have their speech impacted; they may say things that they normally would not say. When we are controlled by an all-powerful God, we can speak with words that are not taught by human wisdom, but words taught by the Spirit! (1 Corinthians 2:13)There have been countless times in my life, when someone being influenced by God has spoken words of encouragement to me, when there is no way except through God they could have known I needed those words! When we are under the influence of God, it isn’t just our speech that is effected, but also the way we walk.Ps 119:1-3 NKJV …walk worthy of the calling with which you were called, 2 with all lowliness and gentleness, with longsuffering, bearing with one another in love, 3 endeavoring to keep the unity of the Spirit in the bond of peace. If we are under the influence of an all-powerful God, the way we walk should be effected. 1 Blessed are the undefiled in the way, who walk in the law of the Lord! 2 Blessed are those who keep His testimonies, who seek Him with the whole heart! 3 They also do no iniquity; they walk in His ways. One other thing I said about people under the influence of anesthesia or even other drugs/alcohol is that they are often more emotional and express love in a more open way. There is no love like God’s love. The influence of God in our lives gives us the ability to love the unlovable in ways that would normally be humanly impossible. The last attribute I mentioned about those under the influence is a heightened level of bravery or boldness. I am here to tell you that when an all-powerful God influences you, you will have opportunities for great boldness and bravery. We see many examples of boldness and bravery in Scripture, but one that immediately comes to mind is Peter. This man had just recently denied knowing Jesus when they came to take Him for crucifixion. Then we see this same man not long after Jesus’ resurrection, under the influence of the Holy Spirit in Acts 2, stand up boldly proclaiming the gospel and preaching his first sermon. The people responded asking, “What must we do to be saved?” He saw about 3000 souls come to the Kingdom that day! We have seen all these examples of how things can change under the influence of an all-powerful God, but how do we tap into that? To answer that question, we first must consider the influences around us. The word “Influence” can be defined as a powerful legacy, something passed on to you from family. It can also mean to sway, or effect or alter by indirect or intangible means. The reality is that we have people and many forms of information, media, and communication that influence us each day. Sometimes that influence can be positive and sometimes it is negative. Look at these two examples from the Bible. 24 I’ve tried everything and nothing helps. I’m at the end of my rope. Is there no one who can do anything for me? Isn’t that the real question? 25 The answer, thank God, is that Jesus Christ can and does. He acted to set things right in this life of contradictions where I want to serve God with all my heart and mind, but am pulled by the influence of sin to do something totally different. Not only do forces of influence surround us, but also we as individuals, have an opportunity to influence those in our own circles. 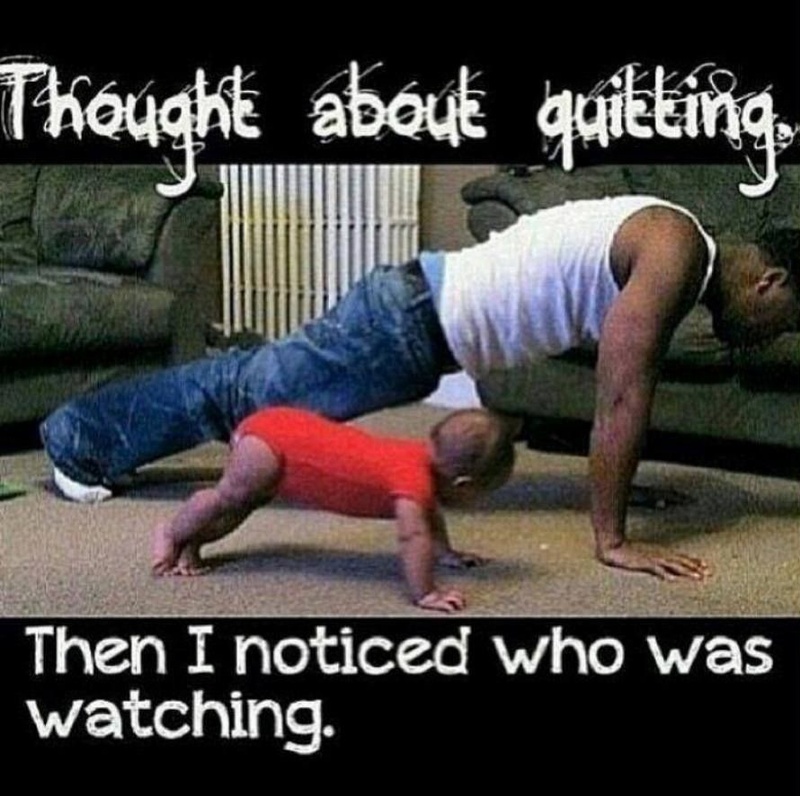 Take a moment and consider who have been the most influential people in your life. Perhaps you are thinking of a parent or grandparent, maybe a teacher or a pastor, maybe a friend or coworker. I did a Google search for the most influential people of all time1. According to one survey that named the top 100 most influential people, Jesus Christ was number one, but in that very same survey, Muhammad was number six! Moses was #18 but Hitler was #17! We have an opportunity every day to be an influential person; the question we should consider is if our influence is positive or negative? There are benefits of being a positive influence. By the blessing of the influence of the upright and God’s favor the city is exalted, but it is overthrown by the mouth of the wicked. 1 Praise the Lord! How joyful are those who fear the Lord and delight in obeying his commands.2 Their children will be successful everywhere; an entire generation of godly people will be blessed.3 They themselves will be wealthy, and their good deeds will last forever.4 Light shines in the darkness for the godly. They are generous, compassionate, and righteous.5 Good comes to those who lend money generously and conduct their business fairly.6 Such people will not be overcome by evil. Those who are righteous will be long remembered.7 They do not fear bad news; they confidently trust the Lord to care for them.8 They are confident and fearless and can face their foes triumphantly.9 They share freely and give generously to those in need. Their good deeds will be remembered forever. They will have influence and honor. On the other hand, we can also see in Scripture those who were negative influencers. Here is just one example. No one else so completely sold himself to what was evil in the Lord’s sight as Ahab did under the influence of his wife Jezebel. YOU FILL IN THE BLANK! You can fill it with whatever your greatest struggles are. NONE OF US ARE EXEMPT! Now let’s turn those words around. I thought about leading….because I noticed who was following! OH, THE POWER OF POSITIVE INFLUENCE! We live in a world that is all about self-gratification….but if we are under the influence of an all-powerful God we can live differently than that. He empowers us to live self-less lives being His hands, feet, and voice extended to this world. In closing, consider this passage. The prophet Jeremiah is crying out to the Lord and look at how He responds. 19 This is how the Lord responds: “If you return to me, I will restore you so you can continue to serve me. If you speak good words rather than worthless ones, you will be my spokesman. You must influence them; do not let them influence you! 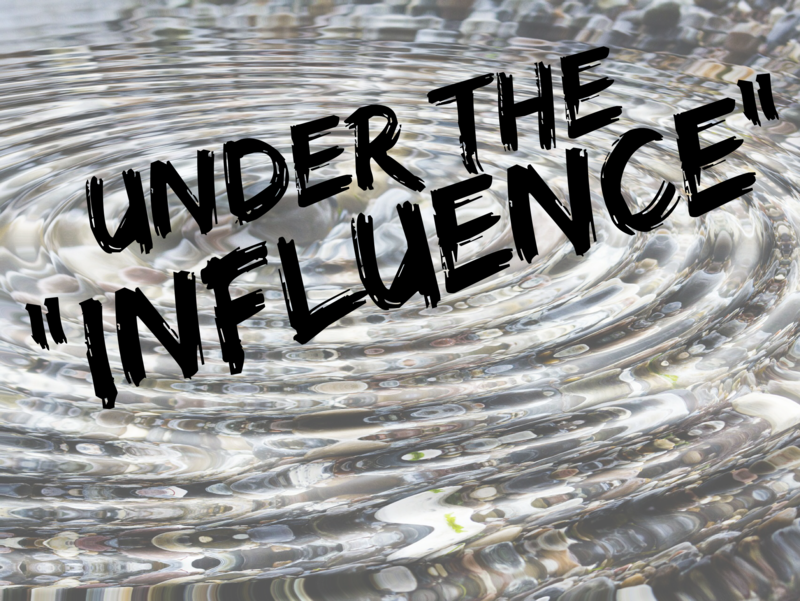 Our world is desperate for those, under the influence of an all-mighty God, to become the most influential people with voices and actions that are louder than all the destructive influences around us! WE MUST INFLUENCE THIS WORLD MORE THAN IT INFLUENCES US!